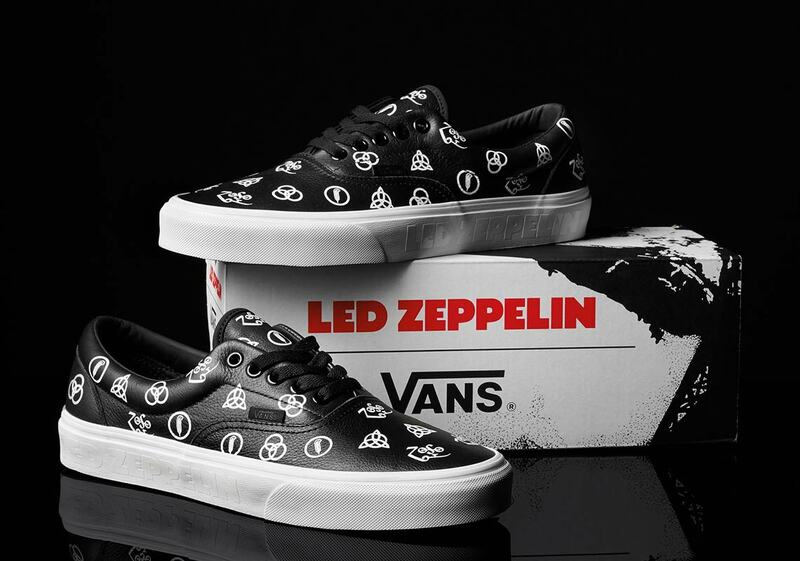 Vans celebrates 50th anniversary of Led Zeppelin's debut album. 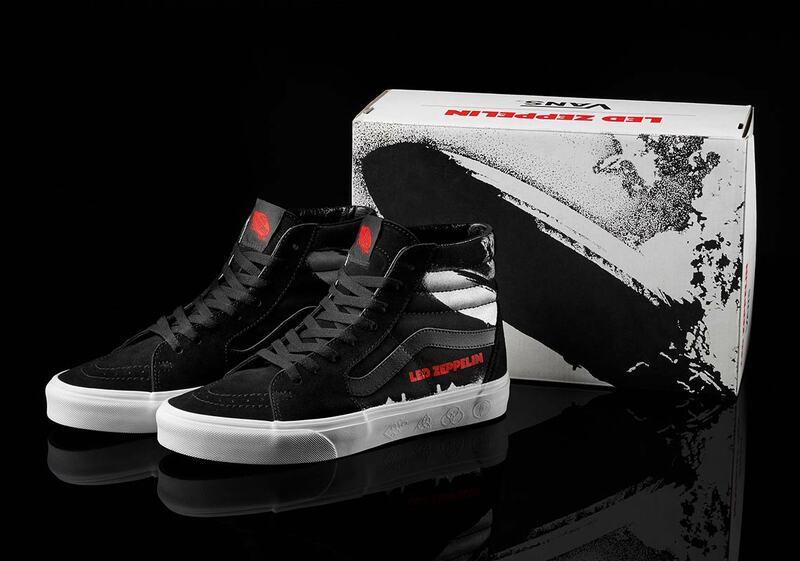 In celebration of the 50th anniversary of Led Zeppelin's self-titled debut album, Vans will be releasing a special edition sneaker pack consisting of the Vans Sk8-Hi and Vans Era. 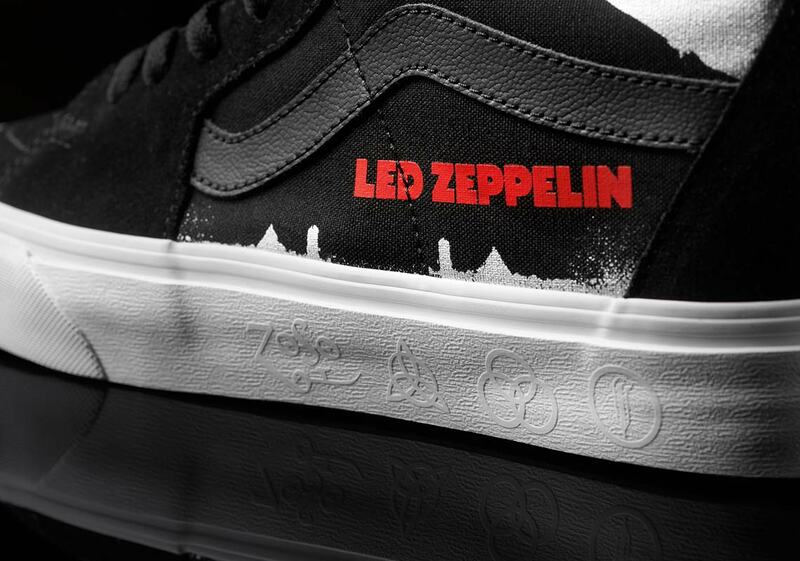 Additionally, the celebratory Vans x Led Zeppelin collab will feature a "Led Zeppelin Off The Wall" trucker hat and a similarly styled long-sleeve tee shirt. 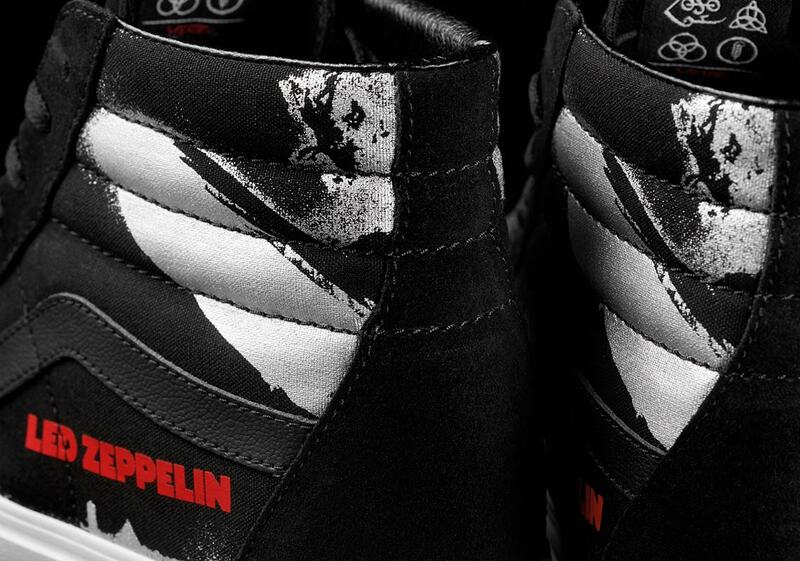 The Led Zeppelin x Vans Sk8-Hi is built on a black suede and canvas upper equipped with the album’s artwork printed on the quarter panel. 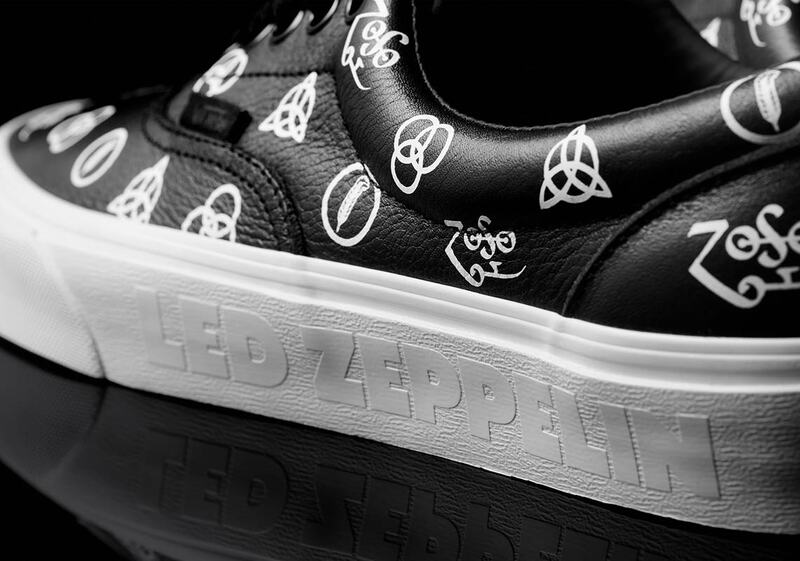 Led Zeppelin text appears in red underneath the black Vans logo, while each of the band member’s symbols are stamped on the white midsole, as well as on the inside of the tongue. 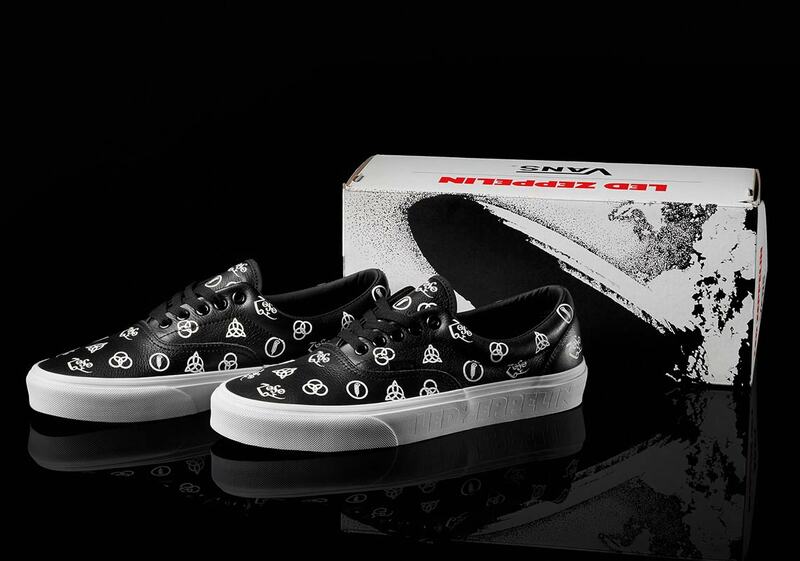 The Led Zeppelin x Vans Era consists of an all-over print featuring each of those symbols, along with Led Zeppelin text on the white midsole. Both sneakers come housed in special edition boxes. 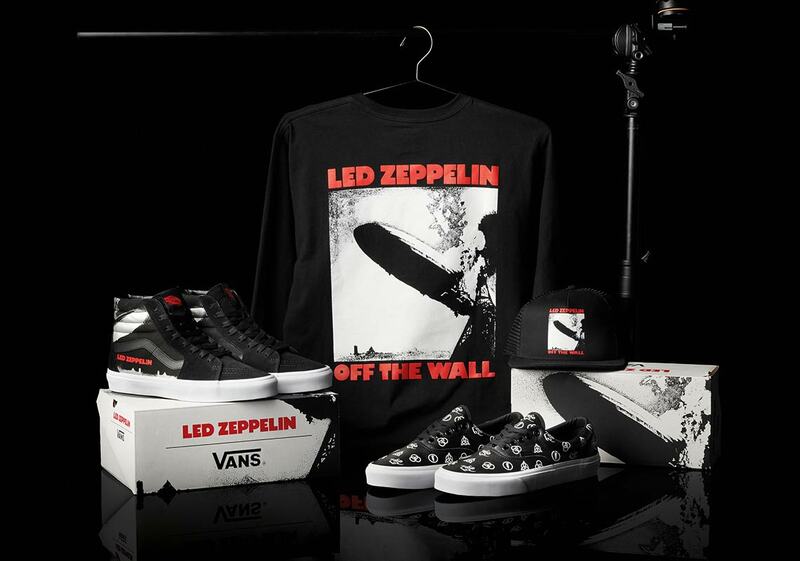 All of the gear will be available on February 22 via Vans.com and the Led Zeppelin webstore. Check out some additional photos of the collab below.